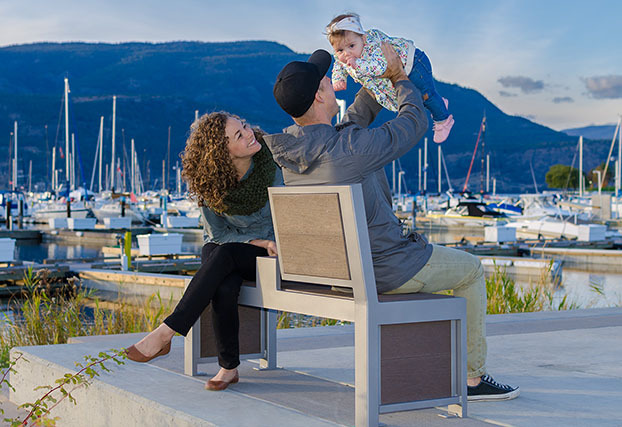 Wishbone Site Furnishings is a proud North American manufacturer raising the bar on innovation and design while maintaining practicality and functionality in site furnishings since 1995. We build exceptional products, provide incomparable service, and deliver outstanding value. Our products delight customers and users alike, not just when they are new, but even after many years of active service. Longevity and ease of maintenance are as important to our designs as style and uniqueness. 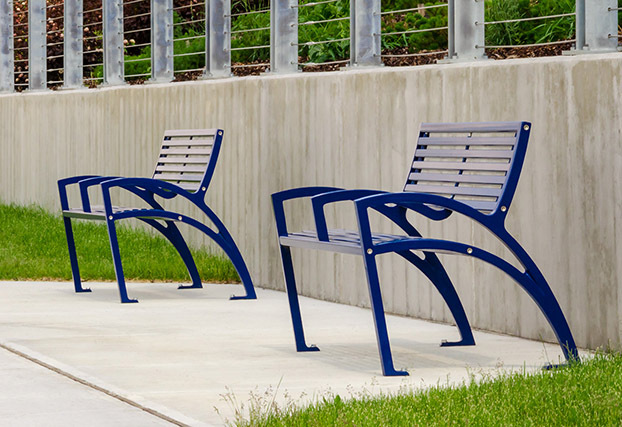 City Scape Benches. Allows incorporation of left over stacked rock from project in its design. 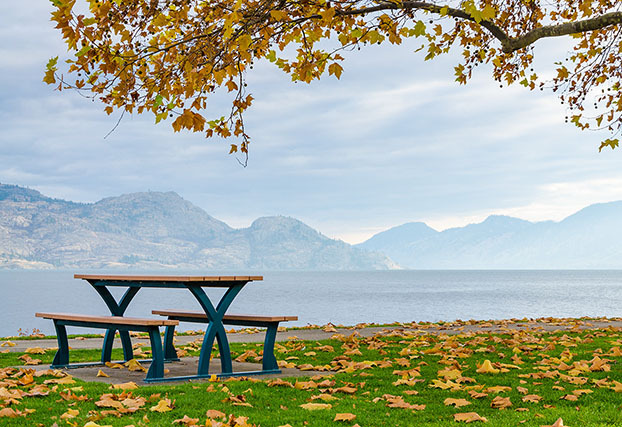 Parker Series Picnic Table. Available in regular or wheel chair accessible versions. Urban Form Series Rectangular Planter Box with a bottom feeding self watering water reservoir. 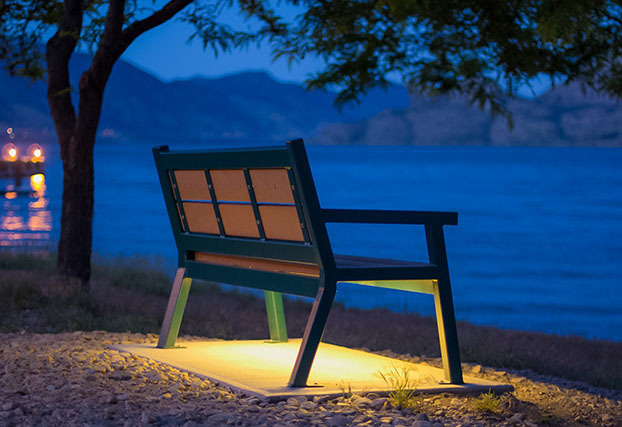 Rutherford Series Bench with built in LEDs creating downlight accent lighting at night. Skyline Series Circular Bench. Can be custom made for wide range of radiuses. 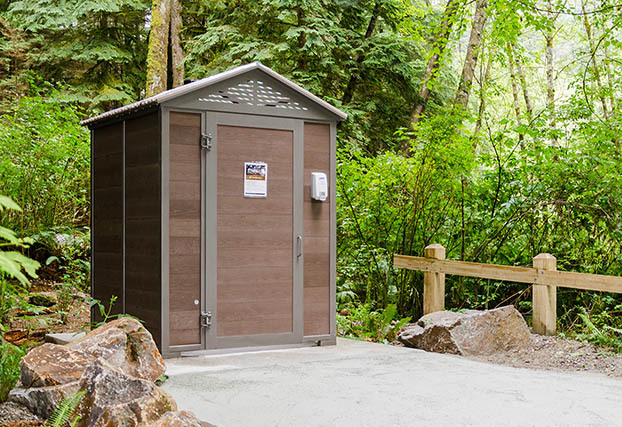 Wheel Chair Accessible Pit Toilet Building. Easy ship and assemble in 2 hours. 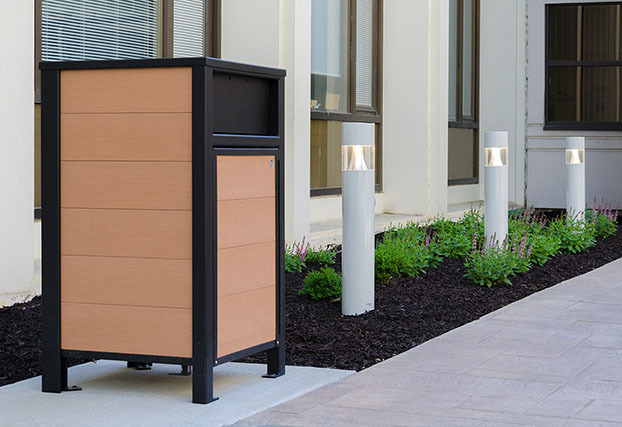 Urban Form Series Waste Receptacle. 30 and 50 gallon litter capacities. 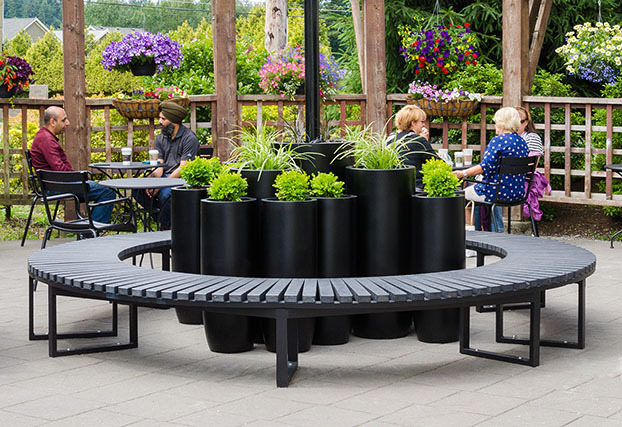 Urban space round picnic table. Unique design dissipates heat in warm temperatures. Annison Modular Bench. 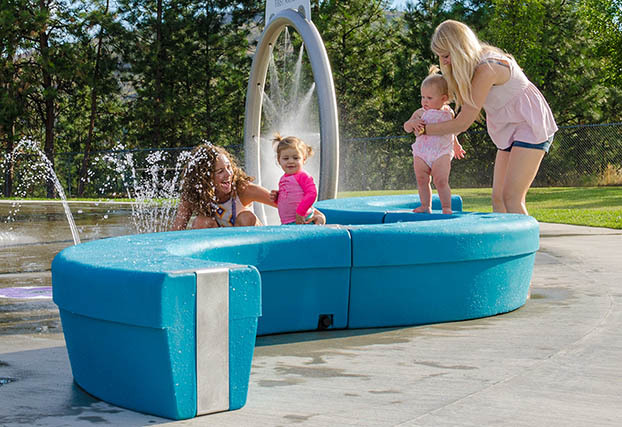 Each section can be placed for a wide variety of seating configurations. 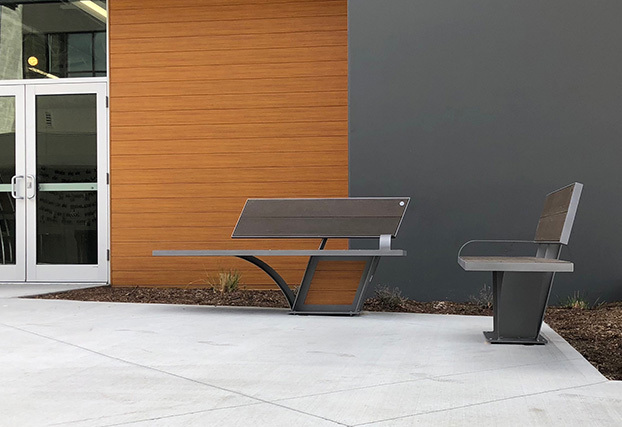 Modena Series All Metal Bench. Available in custom lengths up to 12 feet. 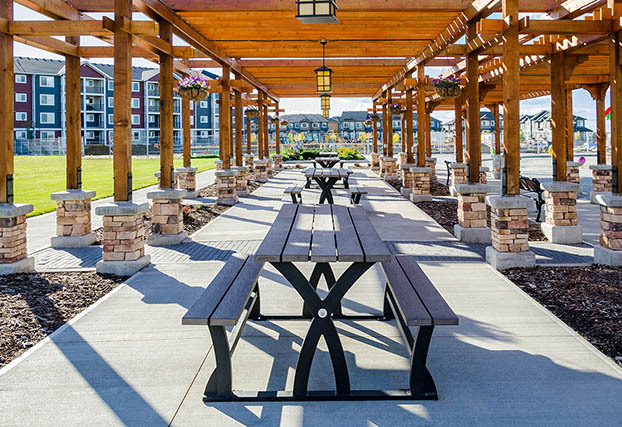 Parker Series Picnic Tables. Available in regular and wheelchair accessible versions. Modena Curved Top Recycling Station. Available in 2 or 3 stream versions. City Scape Bench. Allows incorporation of left over “Longboard" building material from project in its design. 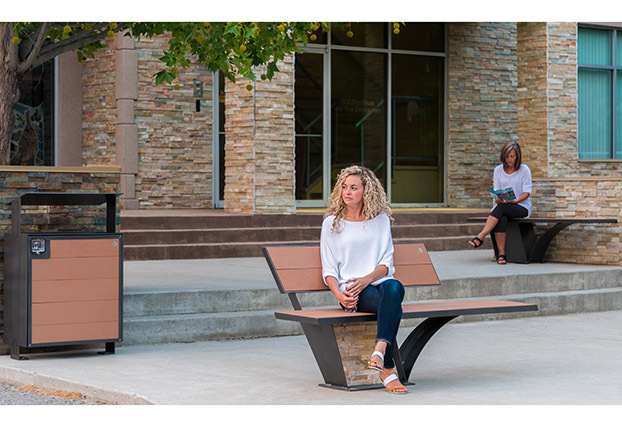 Urban Form Split Back Bench allows users to face in either direction. 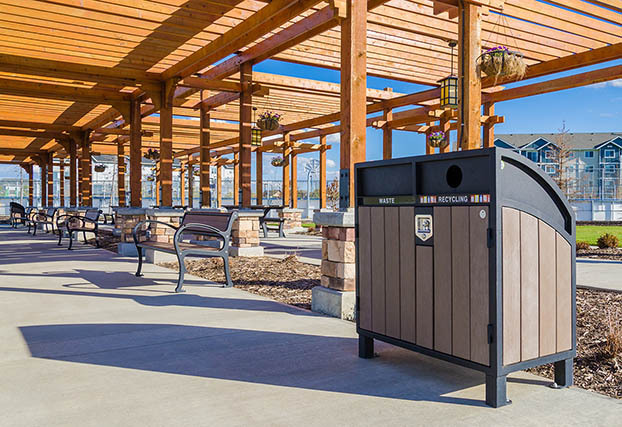 Freedom Series Waste Receptacles. Available in both animal and bear proof designs. 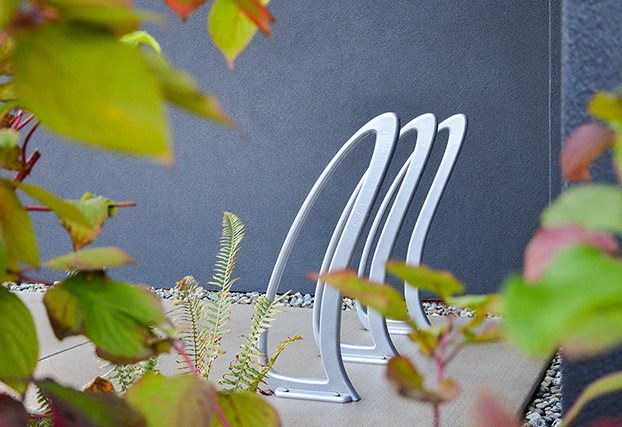 TENAJ Bike Racks. 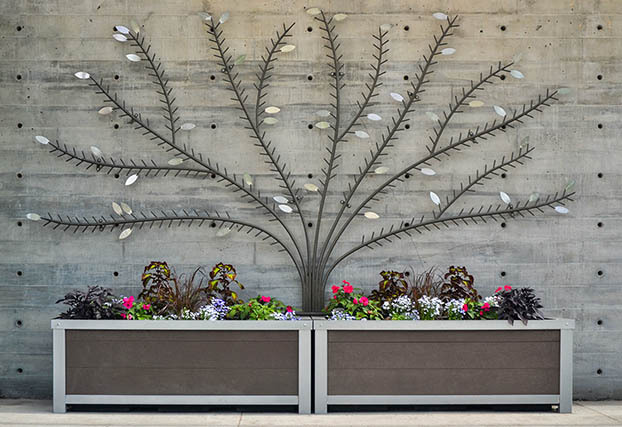 Decorative and functional design for large and small spaces. 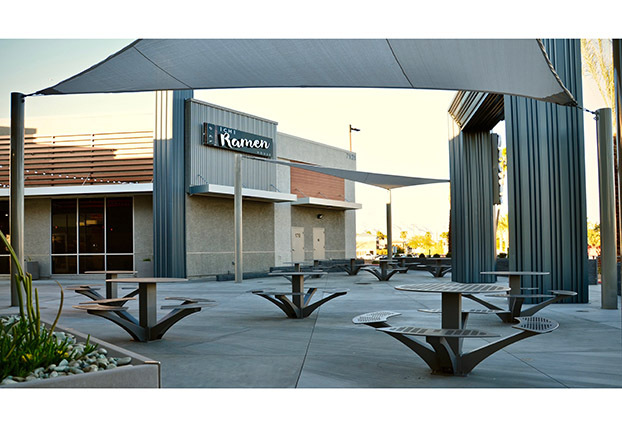 Selected benches with pedestals can be customized for branding several different ways. We believe great products do not need to come at the expense of the environment. All Wishbone products are made from recycled or sustainable materials. We use 100% co-mingled recycled plastic planks, and our foundry produces aluminum castings that come from 100% recycled car and truck rims. 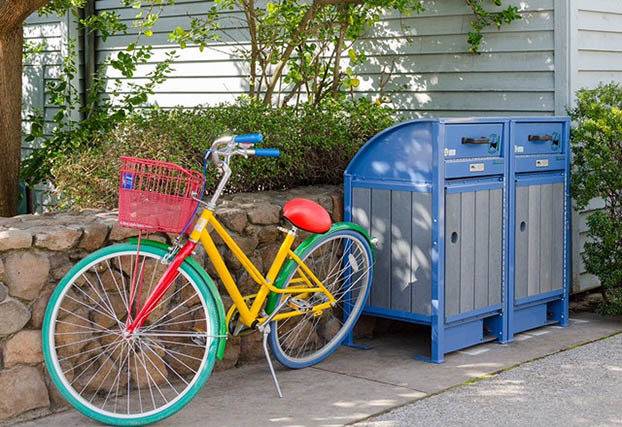 At end of their life cycle, products can be recycled again.